Is your facility looking to upgrade LED? We offer the most cost-effective options currently on the market for UL approved LED Mogul Base Retrofit Lamps, which are compatible with a wide variety of fixtures. 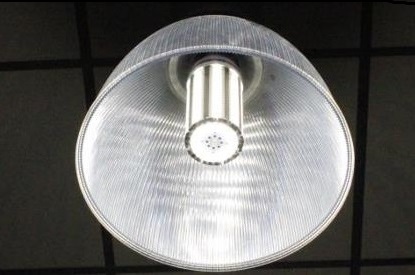 These lamps were designed for the Mogul Base or standard socket and will upgrade any Mecury Vapor, Metal Halide (MH), High Pressure Sodium (HPS), High Intensity Discharge(HID), or Fluorescent Lamps. This means that now in just minutes, you can now upgrade virtually any compatible fixture to LED at a reasonable cost and will reach your ROI target faster than any other market option! Our "LL HBF-75W" is a 75 Watt LED Mogul Base Flood lamp which is a cost effective upgrade f..
Our "LL HBF-90W" is a 90 Watt LED Mogul Base Flood lamp which is a cost effective upgrade f..
Our "LL HBF-120W" is a 120 Watt LED Mogul Base Flood lamp which is a cost effective upgrade..
Our "LL HBF-150W" is a 150 Watt LED Mogul Base Flood lamp which is a cost effective upgrade..